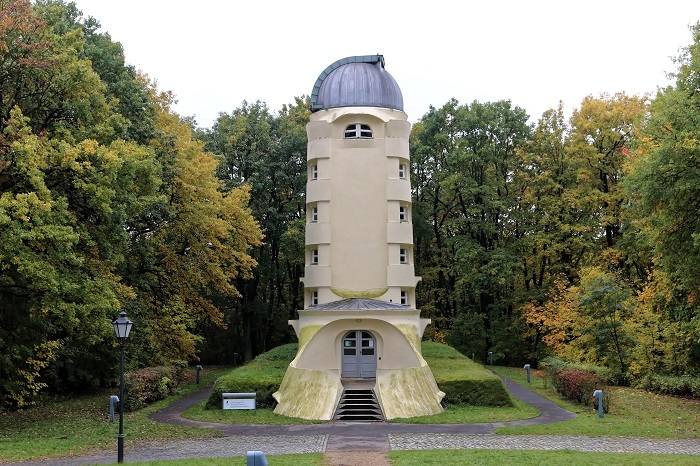 The Einstein Tower, also known as Einsteinturm, is an astrophysical observatory which is located in the Albert Einstein Science Park in the city of Potsdam, within the Federal Republic of Germany. 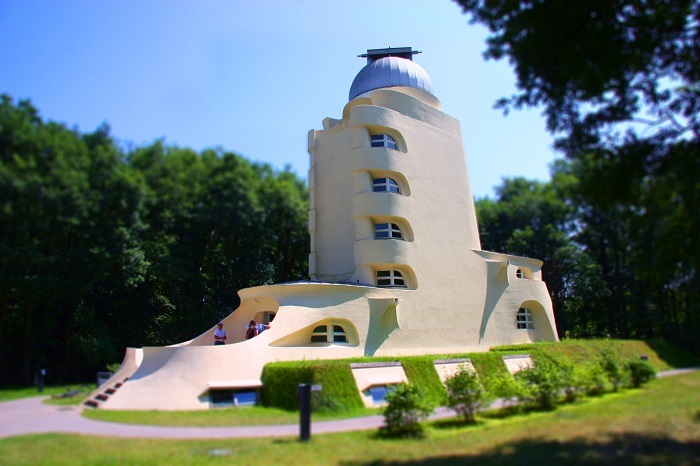 Built on the summit of the Potsdam Telegraphenberg Hill to house a solar telescope that was designed by the astronomer Erwin Finlay-Freundlich, the tower was first conceived in 1917, and later between 1919 and 1921 it was built by Erich Mendelsohn. 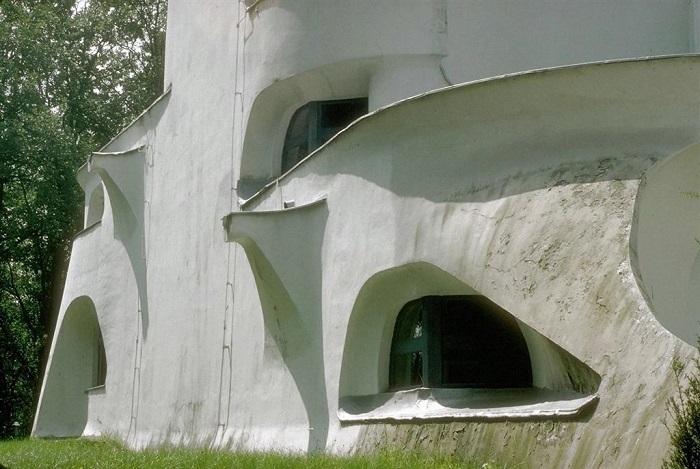 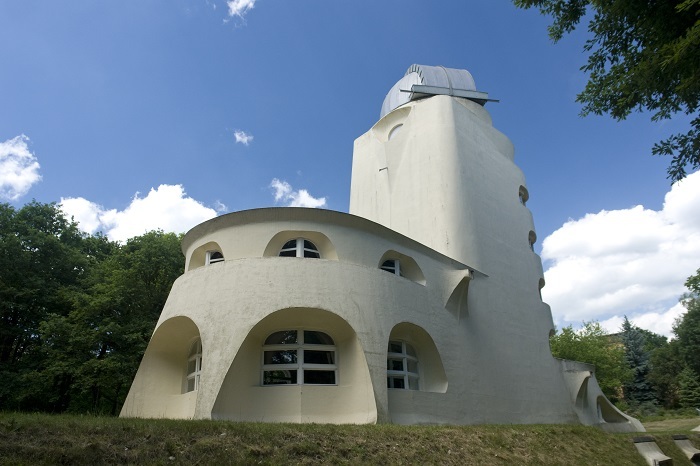 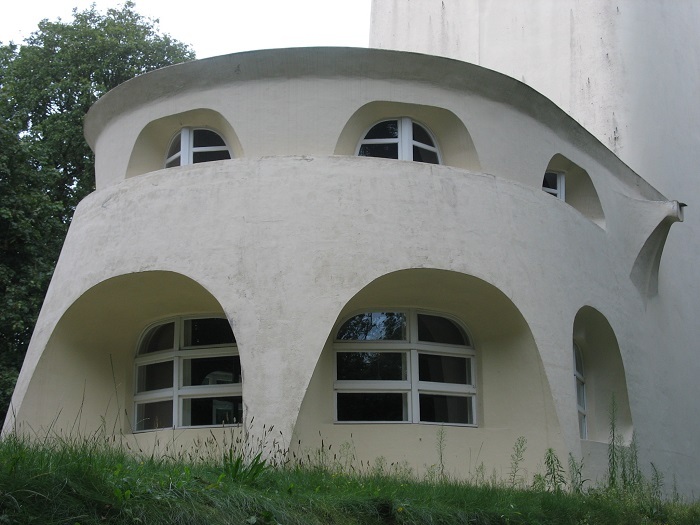 Being one of the best known examples of German expressionist architecture, this amorphic structure of reinforced concrete still serves for observation of magnetic fields, particularly in connection with solar spots. 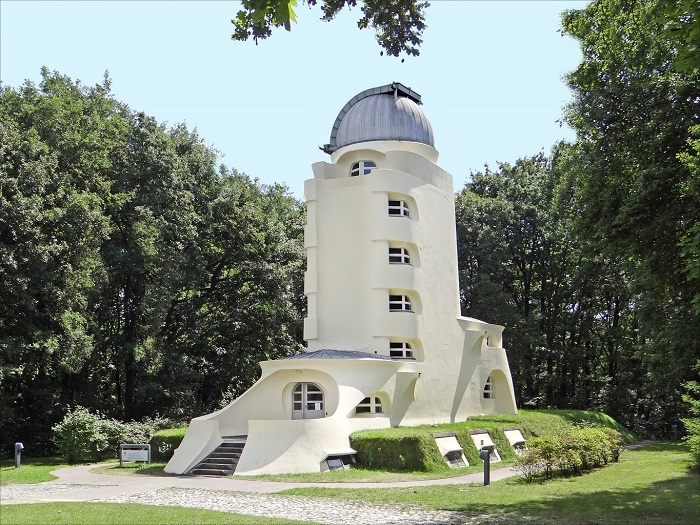 The centralized tower, which is banded by rings of windows, is raised on top of a wavelike platform that houses the laboratories, and due to the technological capabilities of the time of construction, the architect was somewhat prevented from designing additional interesting projects like the Einstein Tower. 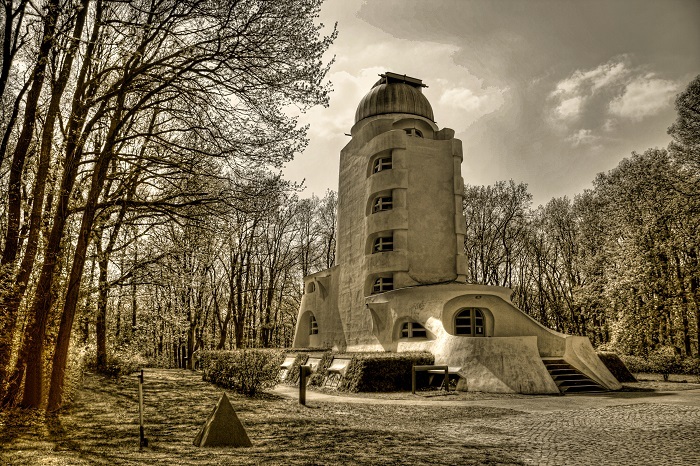 Even though Einstein never worked in the building, he supported the construction and operation of the telescope, which was one of the most important ones until the Second World War. 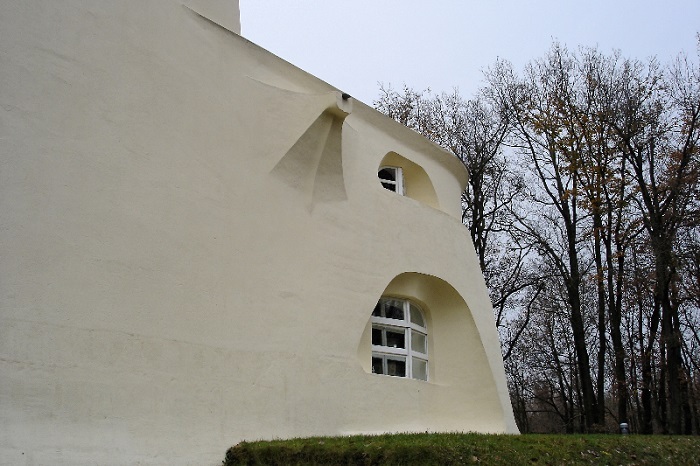 At that time the tower was severely damaged, and in honor of 75th anniversary, in 1999 the building was reopened again, after two years of renovation. 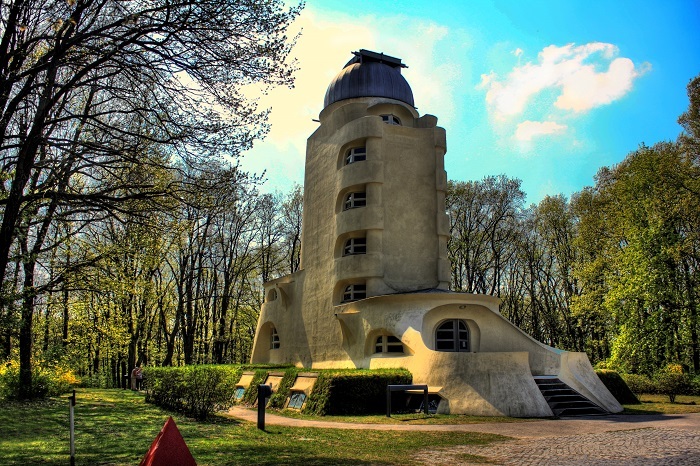 At the entrance of the tower, there is a bronze bust of Einstein which was at first located in one of the rooms in the observatory, however, after the anti-Semitic dictatorship began in 1933, the Nazis took and burned every picture of Einstein as well as every bust, nonetheless, this one was saved and now again on display in the tower. 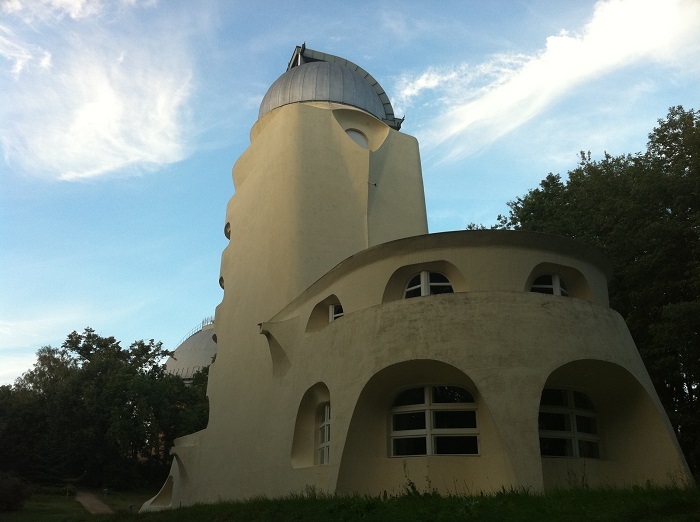 Nowadays, playing an important role in training students, there are instruments which are being developed and tested here, before being shipped to the Teide Observatory in Tenerife, Spain. 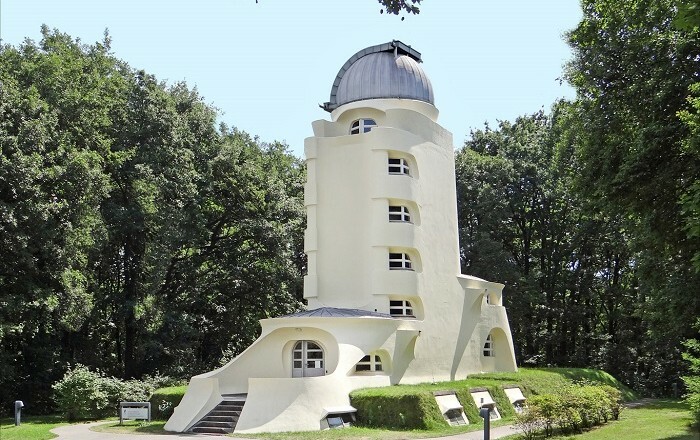 The Einstein Tower is opened for tours and excursions between October and March, and the visitors are able to marvel at this interesting and unique piece of expressionist architectural art form that was left for a long time without being taken care of.